Will the next Israeli Gov't be even more Far Right & Colonial? Will the next Israeli Gov’t be even more Far Right & Colonial? The Israeli government is headed for yet another round of elections. Although the official election date for the next Knesset is November 7, 2017, no one ever expected this government to last that long. The voting will likely take place in March of 2015. What do the new elections mean outside of Israel? Nothing very good, I’m afraid. For the most part, any elections held in the foreseeable future are going to cement the status quo even further, and where they don’t do so, elections will mean a shift even further rightward. In the short term, Europe will likely agree with the United States to keep doing what they’re doing now with regard to an Israeli-Palestinian agreement, which is nothing. But in the long term, they are both likely to be saddled with an Israeli government that will be even more blatant about its refusal of any accommodation with the Palestinians, and even more insistent on building more and more settlements, especially in Jerusalem. There is, however, a good deal of flux in Israeli politics right now. Prime Minister Benjamin Netanyahu has seen his popularity plummet. His Gaza operation over the summer is not being viewed positively in Israel, as many see no difference in the situation with Gaza today from earlier in the year. Israelis may agree with many of his stances, but they’re not as keen on the way he executes his policies—they see Netanyahu as having eroded the relationship with the United States and having failed to stem the increasing hostility toward Israel in the rest of the world. But more than anything else, Bibi’s economic policies have driven down his ratings. Although the Israeli economy writ large is relatively healthy, economic disparity within Israel, even among Israeli Jews, has never been worse, as the distribution of wealth in Israel rivals the extremely skewed scale we have grown accustomed to in the United States. And just like Americans in the United States, most Israelis are primarily concerned with the economy, jobs, and supporting their families—not foreign policy. Another similarity between the United States and Israel is the lack of leadership options. Only some 33% of Israelis believe Netanyahu is the best man for the prime minister’s job, and his approval rating is around that same figure. But that puts him far ahead of any other major player on the Israeli scene. The next most popular choice for prime minister, according to the polls, is Isaac Herzog of the Labor Party at around 17%. Netanyahu’s Likud Party also polls significantly higher than any other party, so the overwhelming likelihood is that Netanyahu will win another election. But the real question is what his coalition would look like. As we’ve seen in the last several Israeli elections, cobbling together a governing coalition is no easy feat. It requires serious compromises that could result in the same prime minister being forced to take on rather different policies depending on the coalition. The right-wing coalition that came to power in 2013 pushed Netanyahu into even more hawkish positions than he already held, both internationally and domestically. What would the next one do? The current government, led by Netanyahu’s right-wing Likud Coalition, consists of the Russian/right-wing Yisrael Beiteinu (Israel, Our Home) party headed by Avigdor Lieberman; HaBayit HaYehudi (Jewish Home) headed by Naftali Bennett; Yesh Atid, a centrist party led by former television anchor Yair Lapid; and Ha’Tnuah, headed by Tzipi Livni. While all of these parties have clashed with Netanyahu at one time or another, Lapid and Livni are the most at odds with Bibi right now. Netanyahu would certainly try to form a new coalition without Lapid or Livni. Between Likud and the other two far-right parties currently in the coalition, Netanyahu could reasonably count on around 50 seats in the next Knesset. Sixty-one seats are needed to form a governing coalition. But while Bennett has warmed up to Netanyahu, Lieberman, whose party formed a joint ticket with Netanyahu in the last election, has become a political enemy. So how will Netanyahu cobble together a coalition? Netanyahu’s Likud and Bennett’s HaBayit Hayehudi are currently polling at about 40 seats between them, perhaps a few more. Another twenty or so would then be needed to form the next government. One candidate is the ultra-Orthodox Shas party. They will want to address their core demands, which are generally based on the economic concerns of their constituency: lower-income Jews of Iberian and Middle Eastern descent. They used to support a theoretical two-state solution, but have recently shifted farther to the right on the issue of the occupation and have always been firm about not dividing Jerusalem. Shas is polling between six and ten seats. United Torah Judaism is an Ashkenazi coalition party (Jews of European descent, excluding Iberia) that is similar to Shas, but more devoted to maintaining the place of religion in Israel and less interested in foreign policy matters, including the occupation. UTJ will bring 7 or 8 seats. If, as Netanyahu has suggested, he forms a coalition with the religious parties, it seems very possible that between Likud, and the three religious parties, he could get very close or possibly even exceed the 61-seat threshold. 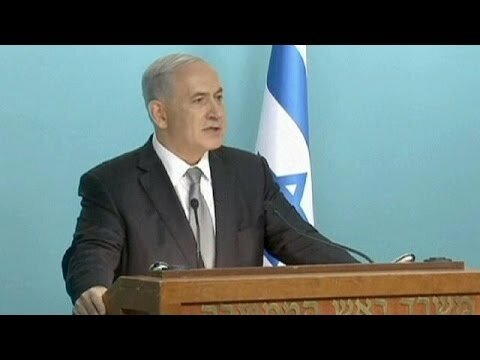 But he’s likely to need one more party, and while Labor, Livni, and Lapid all refuse to rule out being in a Netanyahu-led coalition, they will all face tremendous internal pressure not to do so, and, in any event, Bibi almost certainly doesn’t want them, lest he perpetuate the same unstable coalition he is trying to get out of now. In all of this, there is a wild card, in the form of a new player in the election game. Popular ex-Likud figure, Moshe Kahlon has formed a party of his own, as yet unnamed, and it figures to be a key player in the next election. Kahlon, who is very well-liked among the Israeli public for having reformed the cellular communications industry, left Likud because he felt it had “lost its way.” He is a classic Likud hawk more in the mold of Menachem Begin than Netanyahu. But his real appeal exists in the fact that like Begin and very much unlike Netanyahu, he tends to emphasize economic equality and social welfare. He would not promote the blatant racism Netanyahu does, and that might help a bit with the current internal strife. He would also want to try to maintain a peace process, even while he holds positions on the occupation and security that are not far away from Bibi’s. Current polls have his new party winning between 9 and 12 seats. So, what kind of government comes out of all this? Kahlon may, in many ways, hold the key to that question. The most likely coalition would consist of Likud, HaBayit HaYehudi, Shas and Kahlon’s party, with UTJ possibly tagging along or replacing Shas. The price of the latter parties’ agreements would be some change in economic and social policies in Israel. This could amount to a government that does more to assuage popular domestic anger than the current one, but is even more hawkish on the occupation. Kahlon could also turn into a somewhat more powerful version of Livni in the next government. His party would likely hold considerably more seats and he is much more popular with Israelis than Livni ever was. If Kahlon does better in the election than currently projected, he could also possibly be the one to form the next government. Kahlon would not necessarily have to out-poll Likud to do this. He would merely need to have enough seats and support from other parties to convince Israeli President Reuven Rivlin (who despises Netanyahu and whose appointment to the presidency Bibi tried to block) that he stands a better chance of forming a coalition than Netanyahu does. That’s an unlikely move for him, but not out of the question since Kahlon could, if he wished, form a broad based government that could include Yisrael Beiteinu, Yesh Atid, and Labor, as well as Shas and UTJ. Such a government would be far more likely to renew the peace process, but, especially given the increasing apathy or even militancy with which most Israelis view the occupation, no more likely to actually move it forward. Considered in that light, there might be reason to hope that an even more extreme right-wing government takes power. Perhaps that would fan the small sparks we are seeing from Europe toward real pressure on Israel. But when it comes right down to it, neither scenario is promising.